Graham Fath at the Explorer police training program. 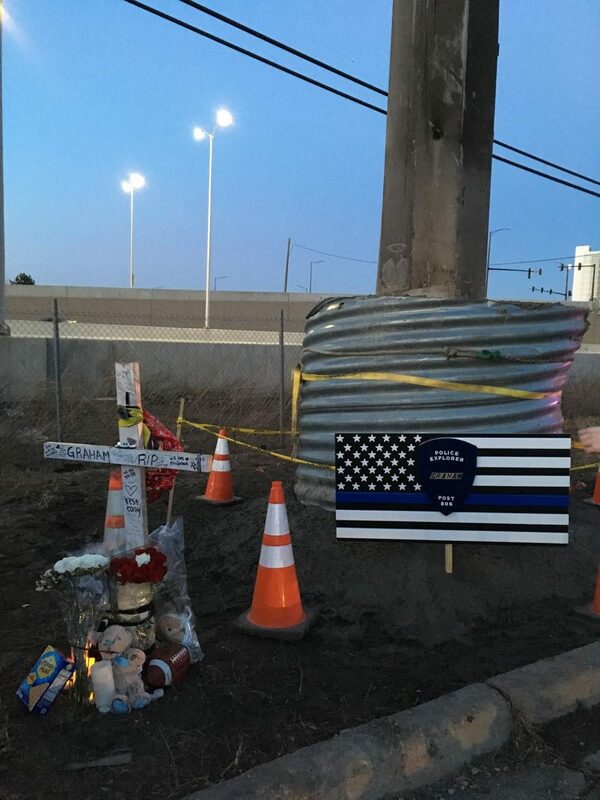 Fath died in a single-car crash on Wiley Road in Schaumburg on March 11. Outside Ahlgrim and Sons Funeral Home on March 17, a line of people extended well into the parking lot. As visitors shuffled forward, the line continued to grow. These people came to honor Conant junior Graham Fath, who passed away on March 11 in a single-car crash. Inside, the funeral home was filled with posters, pictures, achievements, and prized possessions of Graham. With faces of sorrow, attendees comforted one another, exchanging kind words, memories, and embraces. 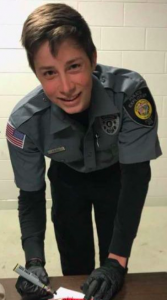 Because Graham was involved in the Explorer police training program, over 200 police officers and Explorer participants showed up in uniform and conducted a procession and flag ceremony. 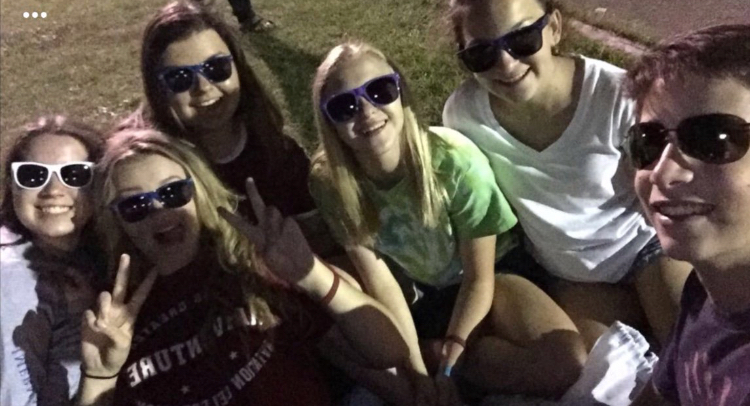 Cayce Sowa, ‘19, coordinated with friends to wear Graham’s favorite color, green, on the day of Graham’s wake. 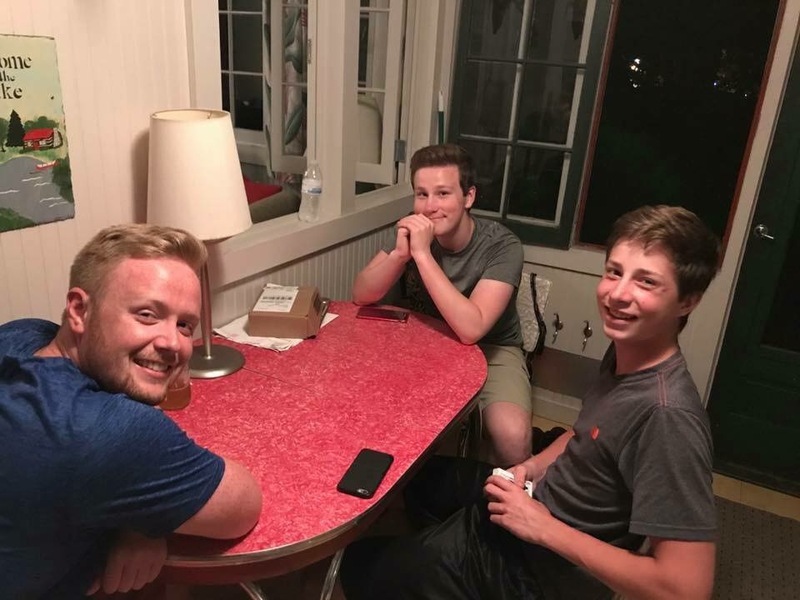 On the same night, a group of students also arranged a lighting ceremony at the Fath house, where friends of Graham put homemade lanterns along the driveway and street nearby. After setting up, the group circled around a lantern and sang “Piano Man,” one of Graham’s favorite songs. To further help his mother during the difficult time, Graham continued his family tradition of making soda bread every year. “Graham felt that he had to make the soda bread because his mom couldn’t. He also brought in loads of soda bread for everybody to share in band,” Roder-Manson said. “Everyone called him ‘Our Protector,’” Sonia Singh, ‘19, said. As both Colin and Graham got older, the bickering between them continued. “I’m sad to say the teasing wasn’t lost with our baby teeth. We pushed each other’s buttons constantly, but only a handful of disagreements ever went without a hug and apology afterwards,” Colin said. 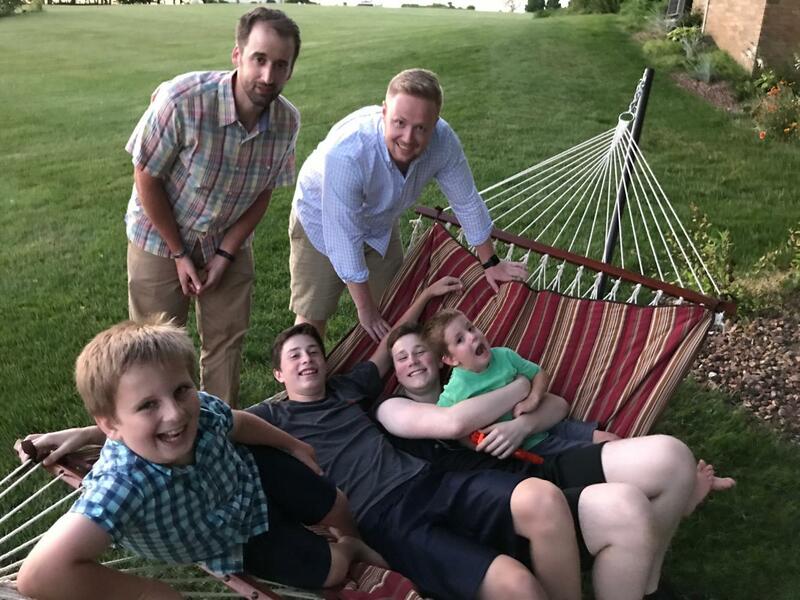 In 2013, Colin, Graham, and childhood friends Tyler Fredrickson and Matt Grammas helped rescue a father and son in Vermilion River. Colin explained that after the father and son were safely on their raft, they all got pulled by the undertow of the rescued father and son’s raft. Graham relaxes with his family. 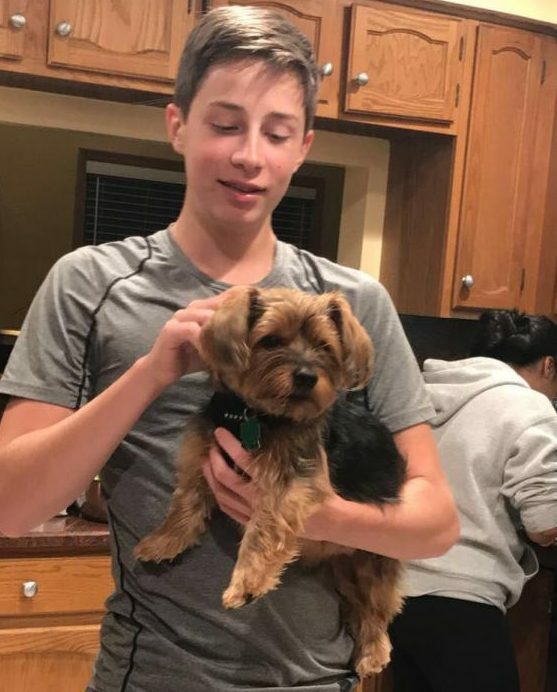 Graham holding Isha Rahmen’s, ‘19, dog. 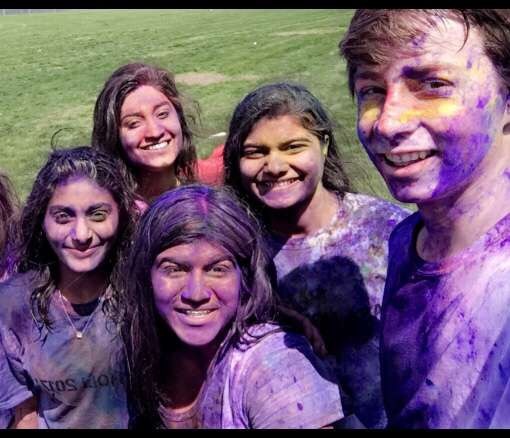 Graham and friends at SASA Holi. 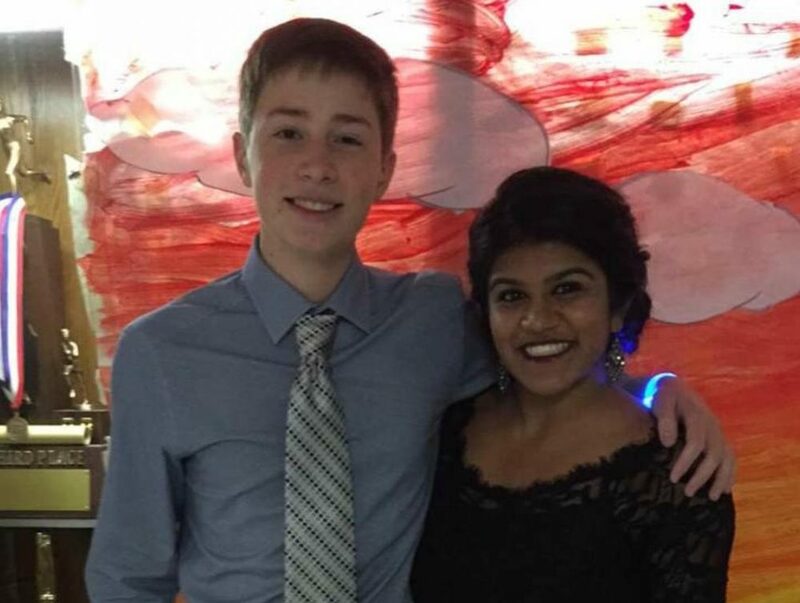 Graham (left) and Niva Patel(right), ‘19, pose for a photo. 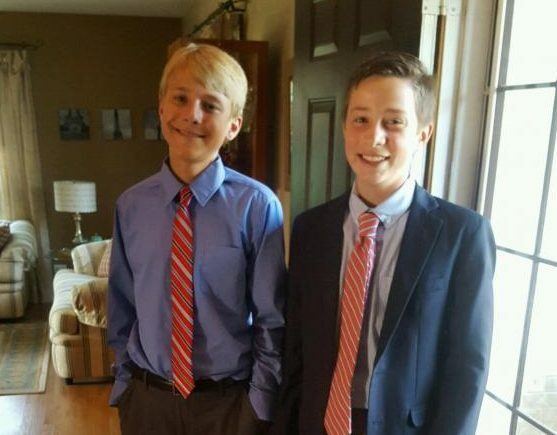 Ted Gross (left), ‘19, and Graham (right) pose for a homecoming photo. 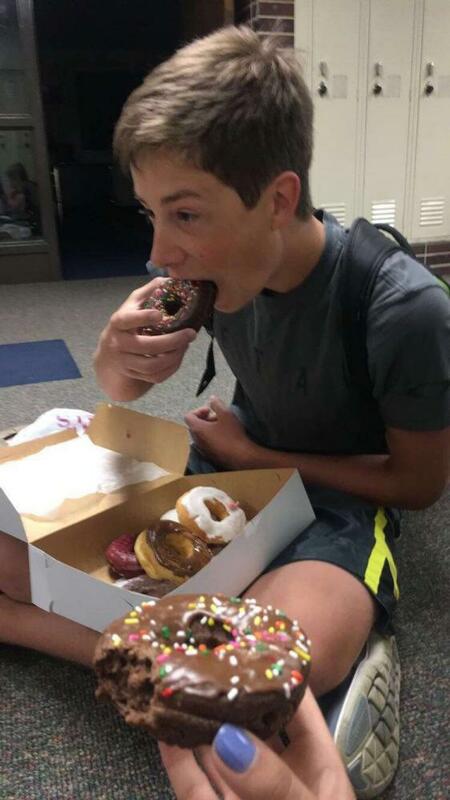 Graham shares and eats County Donuts with friends. 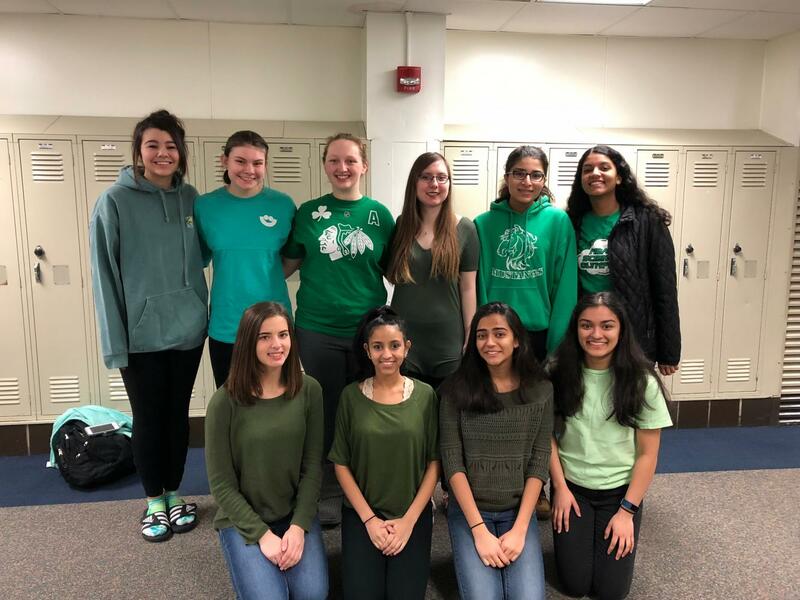 Graham’s peers wear green in memory of him. 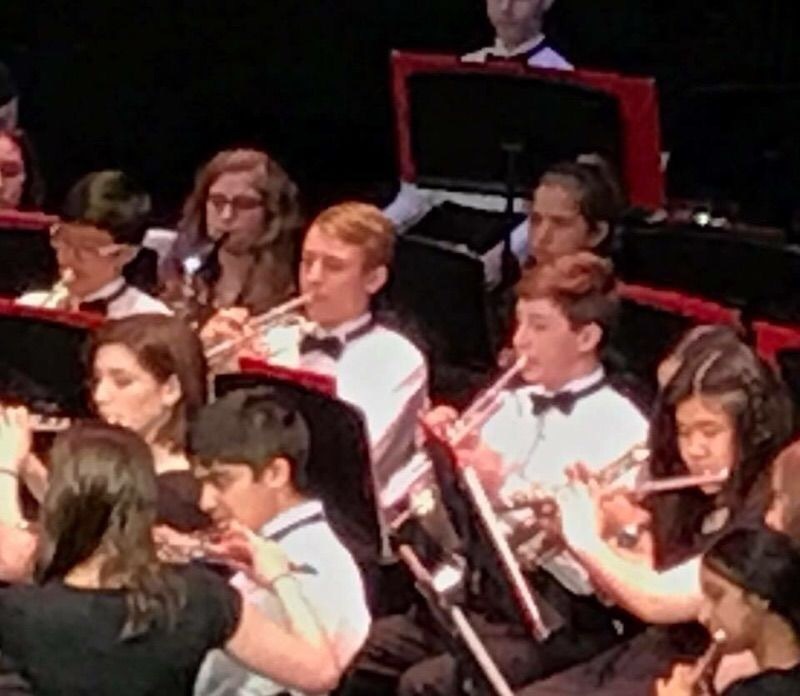 Ted Gross, ‘19, and Graham at a band concert. 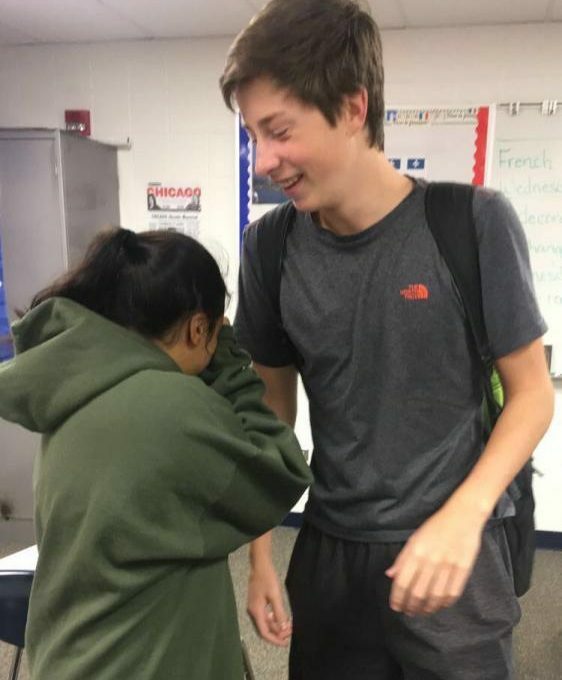 Sachi Goel (left), ‘19, and Graham (right) share a laugh. 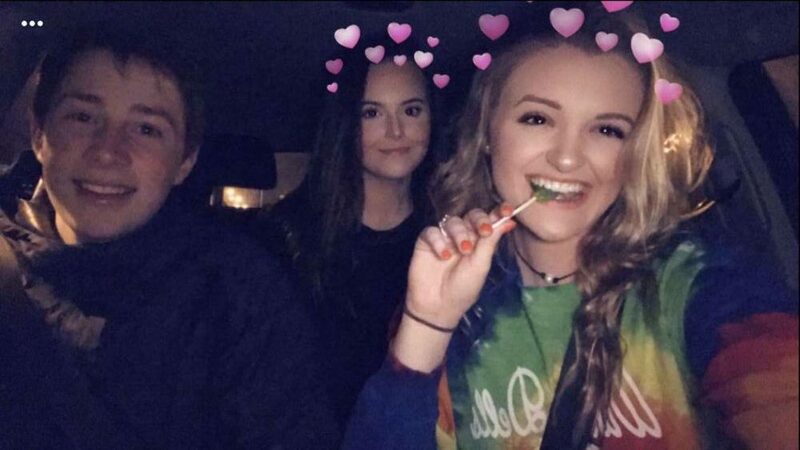 Graham (left) with his friends Lexxi Coleman (middle), ‘19, and Maddy Stitzel (right), ‘19. 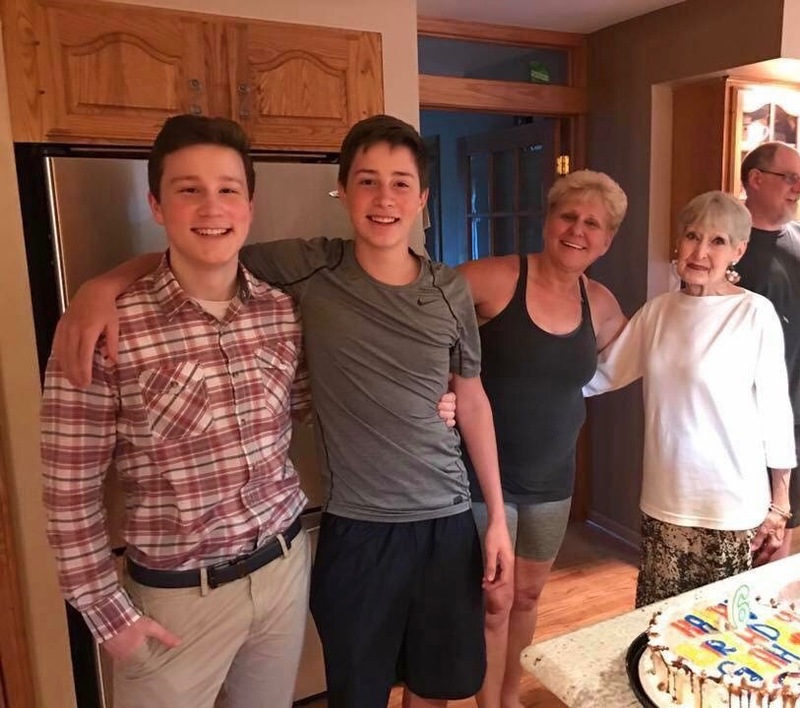 Graham and family celebrating a birthday. 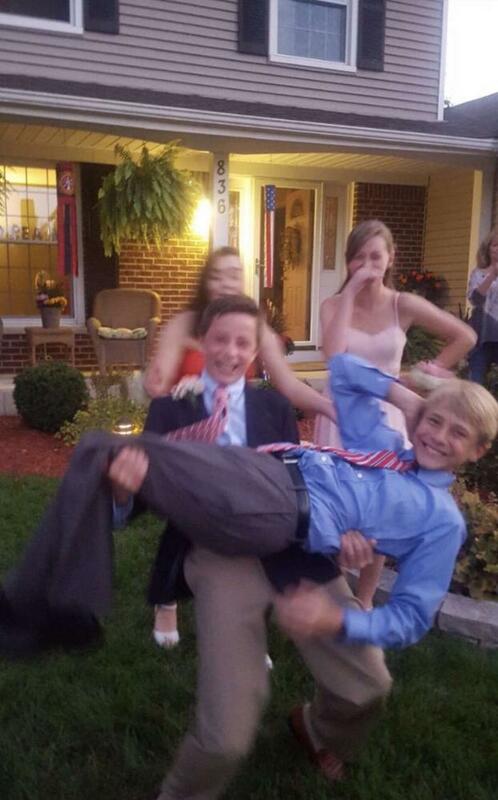 Graham carries Ted Gross, ‘19, for a homecoming picture. 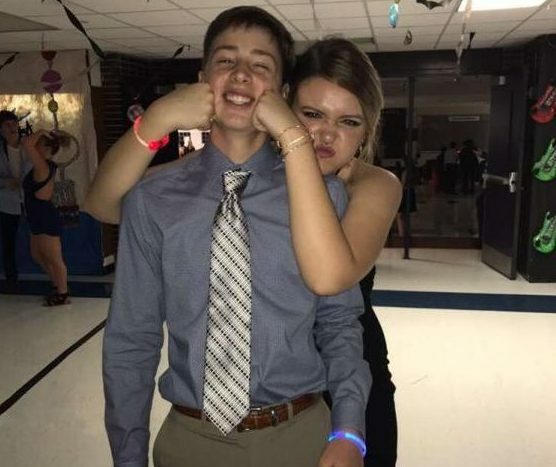 Graham and Maddy Stitzel, ‘19, pose for a goofy picture. 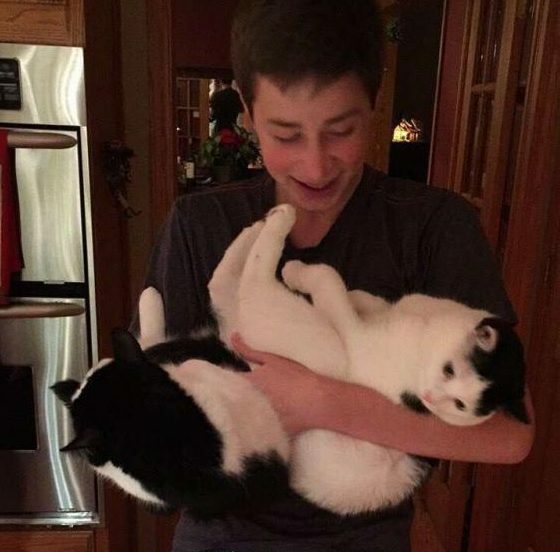 Graham holding his cats, Aela (left) and Lily (right). 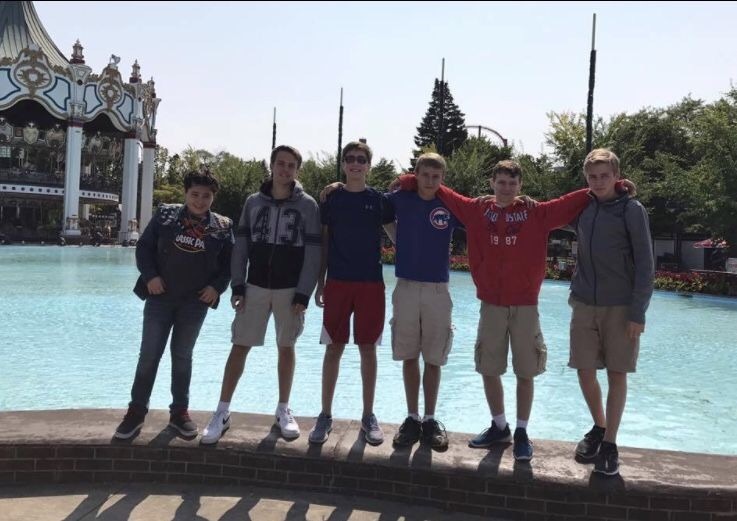 Graham and friends at Six Flags. 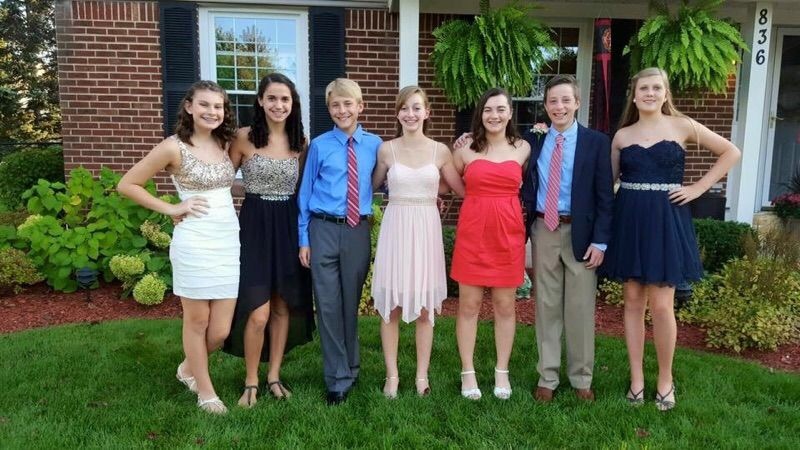 Graham and friends pose for homecoming pictures. Graham and friends at Septemberfest. 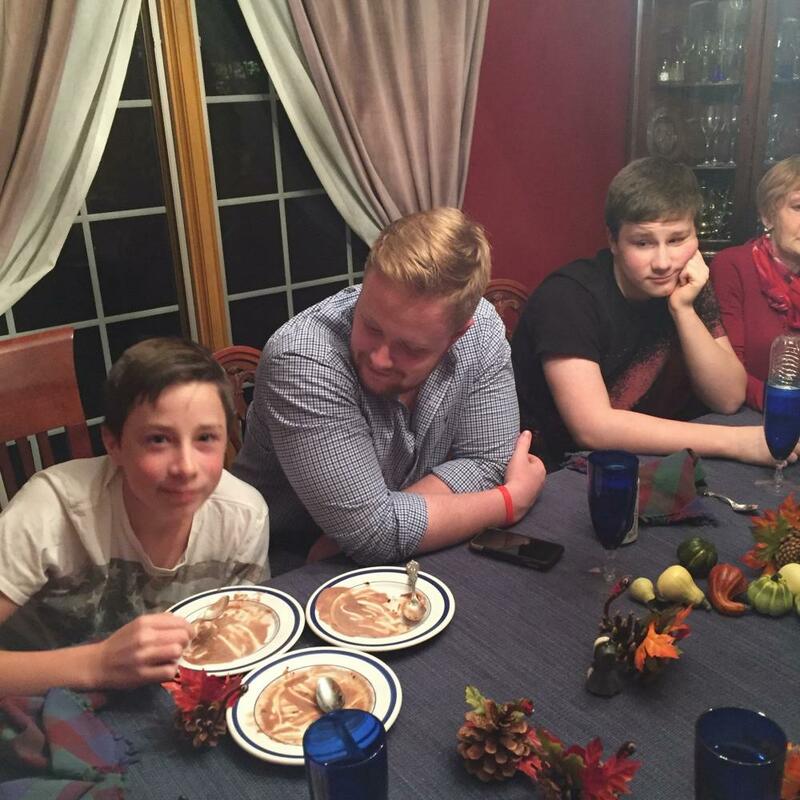 Graham and his brothers enjoy dessert. Graham (right) with his brothers: Sean Fath (left) and Colin Fath (middle). Friends and family of Graham’s lay flowers, posters and items at the crash site. 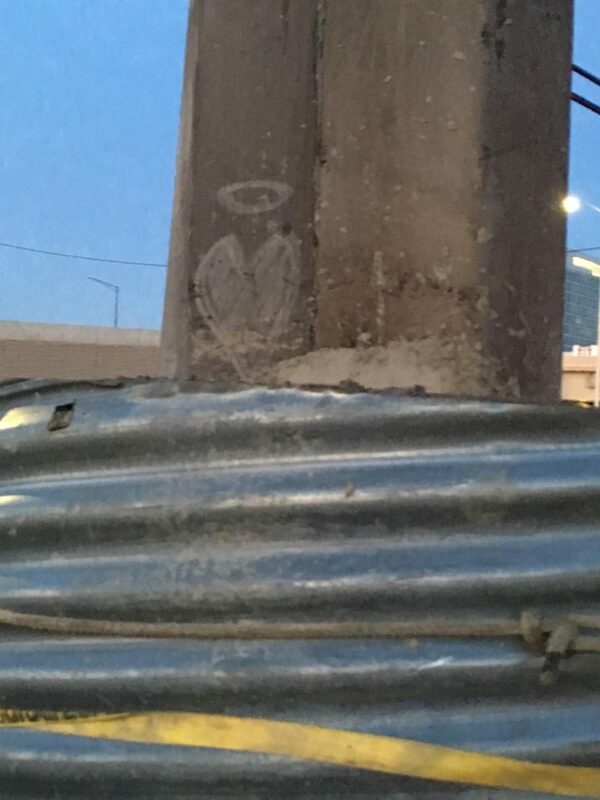 A drawing of a halo above a heart at the crash site. Note: Click on an image to view it in full size. Thank you for that lovely article about my boy. We miss him every minute.